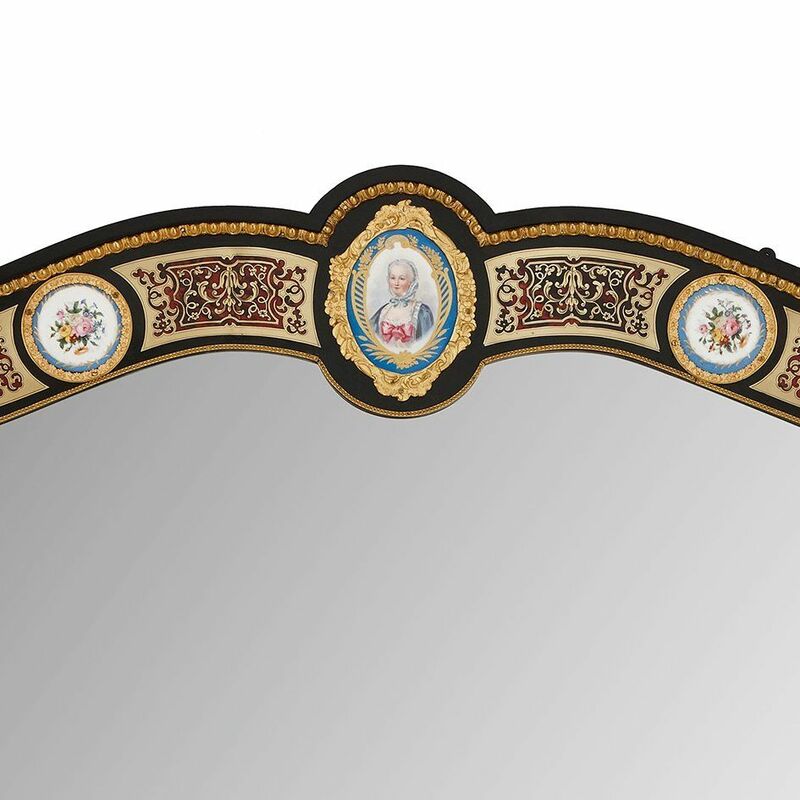 This fine mirror incorporates two of the most celebrated features of French antique furniture design, incorporating 'Boulle' marquetry and 'Sevres' porcelain plaques. 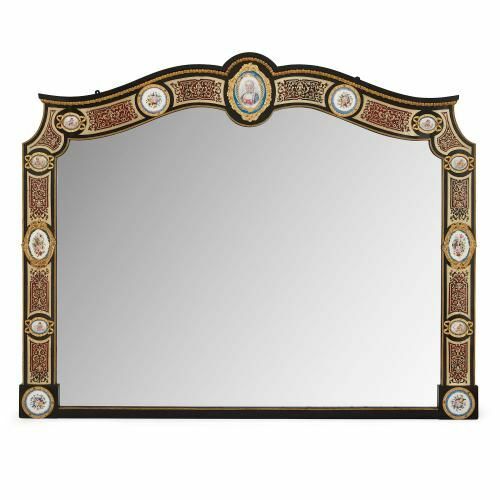 The mirror is rectangular in shape, with a landscape format, and an arched top. 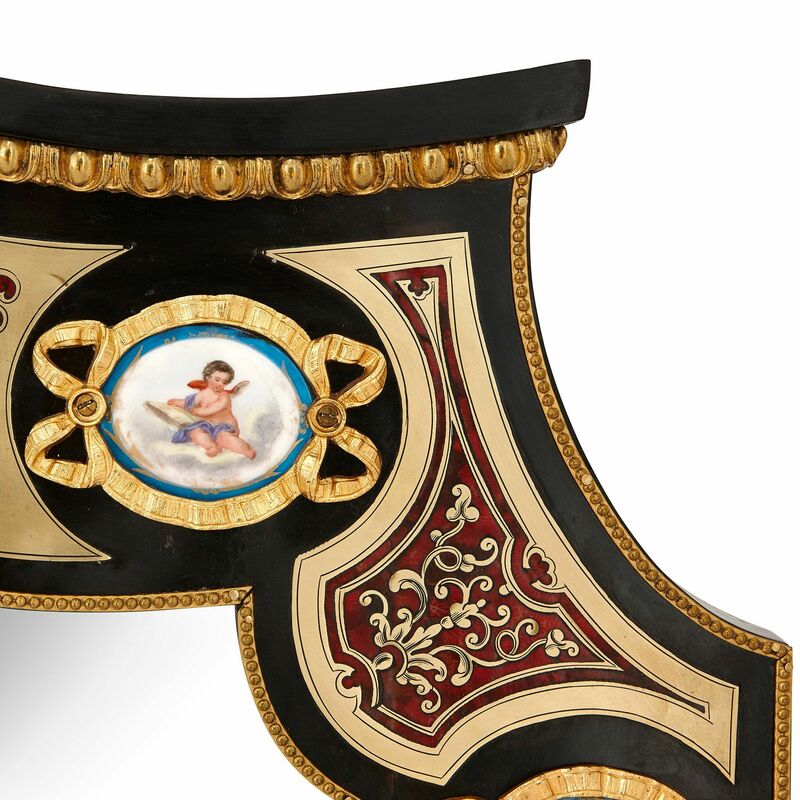 The frame is built from ebonised wood and features twelve Sevres style porcelain plaques, each bordered with finely cast ormolu mounts. 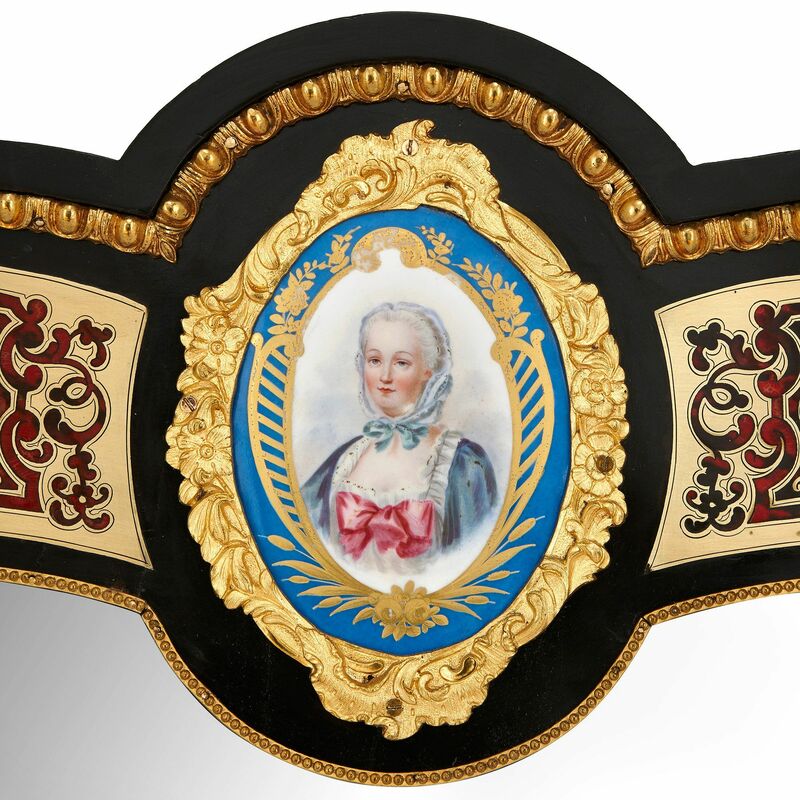 The plaques are beautifully painted with putti and floral arrangements, with the central plaque at the top of the mirror depicting the portrait of a female figure. 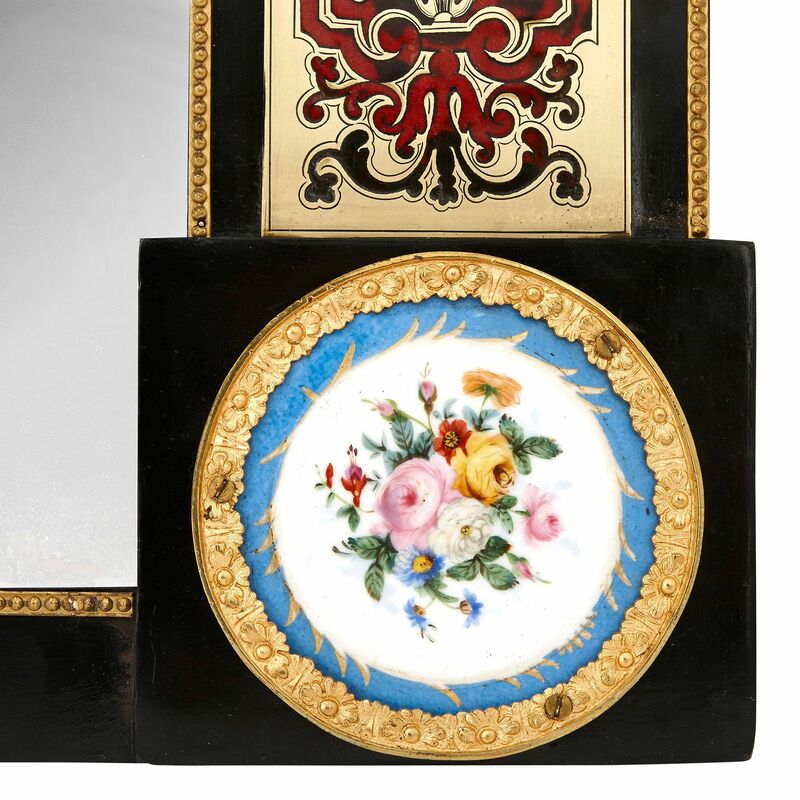 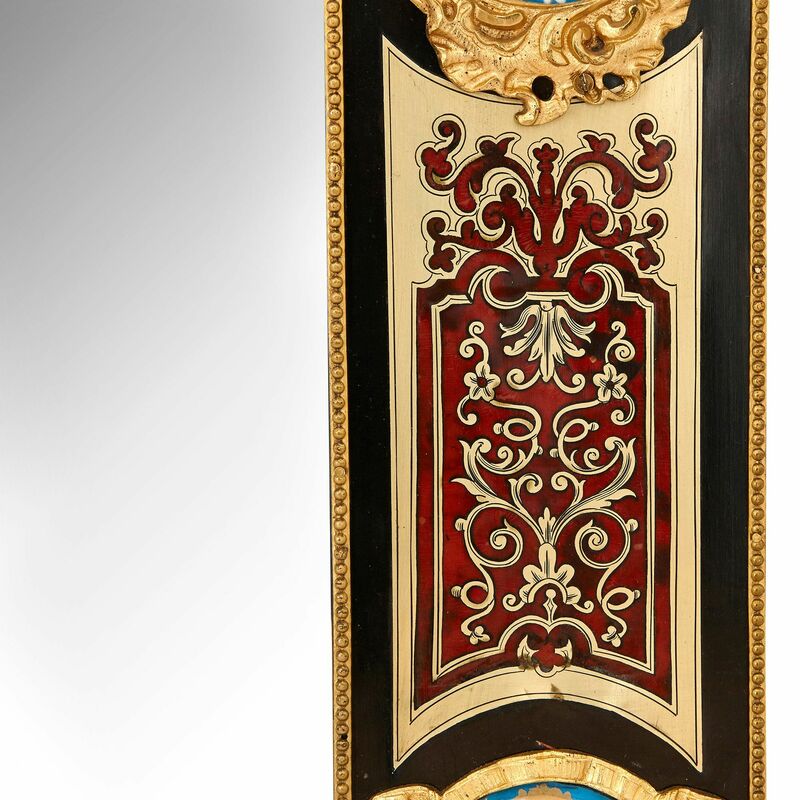 The areas between the porcelain plaques are finely detailed with ornate scrolling patterns in Boulle marquetry of tortoiseshell expertly inlaid into brass.